I am so honored and excited to present this guest post from my friend and colleague Sarah Buckley, owner of Keys to Success. In addition to being a piano teacher, Sarah uses her business and organizational know how to help musician entrepreneurs to who are discovering peace and prosperity. As musician entrepreneurs, we are specially equipped. We have been trained to practice long hours, always look for improvement, and appreciate the sweet joy of music every day. On the flip side, we are often also trained to be accustomed to long, crazy busy days, last minute changes, and sacrificing for our art. Some of this training is amazing for running a business. Some, not so much. Last year, I applied my hunger for constant improvement to big life changes. You might be able to relate to feeling like you have to choose between a balanced family life with a ‘9-5 job’ or following the call of music and resorting to a less balanced family life. With the help of a mentor, I set out to follow my call AND create balance. With an already busy schedule it took some courage to commit to completing 1-3 tasks per day in the direction of my goals: Fill my studio with daytime students and create a schedule where I only teach until 5 pm (this felt ridiculous and out of reach the first time I wrote it down). I wrote out my goals and read them daily. I imagined eating dinner with my girls and being able to put them to bed every night (at that point sitters put them to bed 3 nights a week). Three months later, I had more than doubled my studio size and enjoyed dinner and bedtime routine with my girls 6 nights a week. Small consistent daily steps had created major momentum. I will never forget the look on my daughter’s face at the end of the summer when she asked: “Mom when I go back to school will you go back to teaching at nighttime?” When I said, “no.” her face lit up. This confirmed to me that it was worth it. And to be honest, the progress to that point had flowed naturally and didn’t feel like an uphill battle. Being realistic about the amount of time I could commit to making this change made the journey manageable. You must fill the pitcher before you can fill the glasses. Along the way, I also realized that improving my business alone was not enough. What is a success if you can’t enjoy it? What does it matter if your income is higher but you don’t have time with family or get to enjoy each day? As a solo entrepreneur, YOU are your business. You must be well cared for to have a well-run business. If your pitcher is full, you have more to give. If you vibrate with an inspired frequency all day, imagine how that supercharges the impact you have on everyone you meet? It’s easy to leave caring for yourself until last. There is always a lesson to teach, a dinner to cook, a piece to practice, and an email to send. In my journey for business and personal growth, I realized that on days where I made time for myself non-negotiable, these little tasks were still accomplished. I was just WAY more peaceful doing them (which again has a lasting impact on those I’m caring for and teaching). I noticed that when I wake early for my journaling and alone time, the girls respond more peacefully in the morning. I feel more inspired to teach and lessons flow easily (and of course this has an impact on retention and referrals without even thinking about it). Sometimes a brief reflection can create small changes that are like small hinges swinging big doors. Adjusting your direction slightly can open a whole new path. This will lead to discovering peace and prosperity in you business and your life. Sarah Buckley has been an entrepreneur and musician for over twenty years; she has taught at the university level for 8 years; built studios 5 times in 5 cities; and helped build her husband’s Jiu Jitsu Academy. 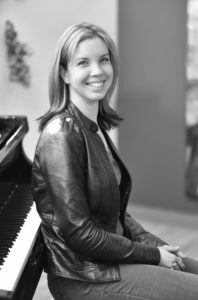 Sarah holds piano performance degrees from the University of Western Ontario, The Royal Conservatory, and a Master’s of Music in Collaborative Piano and Theory Pedagogy from the University of Missouri. Most of all, she wants us to know that she has a wonderful husband and two amazing daughters. The Buckley’s live north of Toronto, in Ontario, Canada. 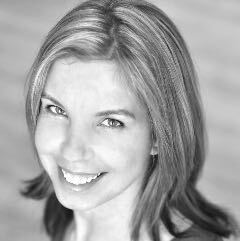 To learn more about Sarah Buckley’s approach to Business Coaching and Mentorship visit her website keystosuccesspiano.com.